Those familiar with Armenian Churches might have come across a mysterious sign on top of the main altar on numerous occasions. This curious sign “Է” as seen in the picture is the 7th letter of the Armenian alphabet and has a very interesting history. 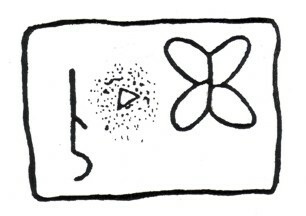 The earliest attestation of the sign has been found on petroglyphs in Metsamor, Armenia (see pictures below) and has been dated to 3.000 BCE. 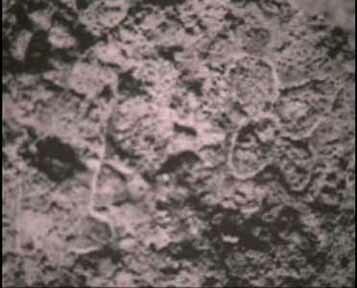 The sign itself was known for it’s use by Mithraic priests in pre-Christian Armenia. Later, during the creation of the Armenian Alphabet (405 A.D.), Mesrob Mashtots incorporated it into the Armenian alphabet and gave it a sacred place as the 7th letter of the alphabet. As such it was adopted by the Armenian Church and to date can be admired on top of the altars of Armenian Churches. Its significance to the Church is well explained by the following article. Sign on a marble Khatchkar (Cross Stone) in the Holy Etchmiadzin. 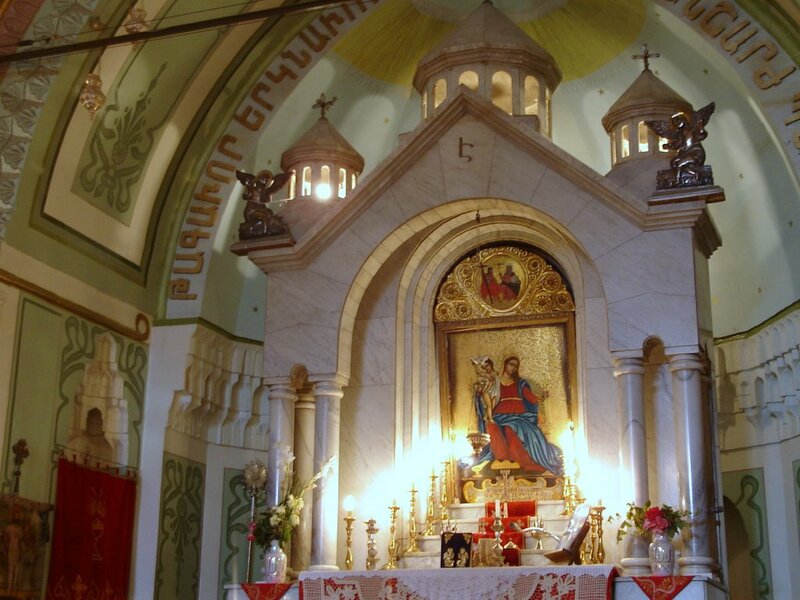 If you walk into any given Armenian Orthodox Church, you may notice something over the altar, or at least most of them. You may either see the single letter ‘Eh’ (Է) directly at the top, such as the picture to the left demonstrates, or you may see the words ‘Asdvadz Ser Eh’ (in Armenian letters) with the English translation ‘God Is Love’ following it. In the case of the latter, the letter ‘Eh’ (Է) is still directly above the altar. What is so special about the letter ‘Eh’ (Է) that it deserves such a prominent place over the church altar? First, let’s look at its meaning. In the phrase ‘God is Love’, the word for is is ‘eh’, thus, ‘Asdvadz Ser Eh’ (transliteration: ‘God Love Is’). So, the letter/word ‘Eh’ (Է) literally means ‘is’ or ‘he is’, which , to those familiar with the Old Testament, may sound like a reference to God Himself. God told Moses that His name is ‘I am’, or technically ‘Is’, or ‘He Who Is’. Thus, God is a being who just IS, and it is only the eternal God who can call Himself by this name. In Armenian, it is the letter/word ‘Eh’ (Է) that serves as the name for ‘I am’ or ‘he is’, and just as Moses realized the ‘Eh’ (Է) to be dwelling in the burning bush, so too does the Armenian Church realize that God (Eh) dwells at the church altar. Furthermore, ‘Eh’ (Է), when pronounced, makes the sound of a breath, and so the idea of God being the breath of life is attached to this letter. Also, the letter ‘Eh’ (Է) happens to be the 7th letter of the Armenian alphabet. Symbolically, 7 is known as the number of perfection, or completion. Throughout the Bible, the number 7 is attributed to several acts of God, and to God Himself, so the letter ‘Eh’ (Է) takes on even further significance.Thus, for the Armenian Church, the letter ‘Eh’ (Է) and its meaning is considered to be Holy. It is not only symbolic, but ‘Eh’ (Է) is the name of God. Another interesting fact; in the Armenian alphabet, only the letter Է (Ē) can be added as a prefix or a suffix and form a new word. 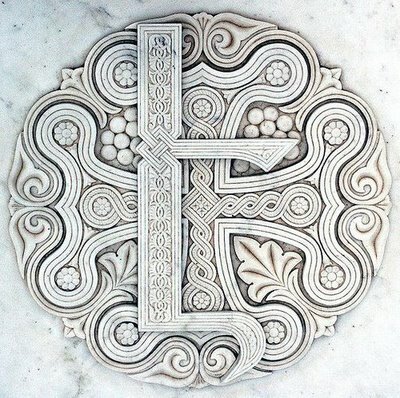 There is no other letter that can be applied in such manner according to the rules of Armenian grammar. Therefore, Է (Ē), is not only a simple letter or a character, but is also a Word in and of itself. Etymology according to Wikipedia: Old Armenian է (ē), from Proto-Indo-European *h₁es- (“to be”). Aram jan: Mesrop did not invent the alphabet, he reintroduced it after its destruction. Very interesting. Did you also know that in the Babylonian mythology there is a person called Van, who is equated with Enki. They say he brought the tree of life (the biblical tree of Eden) to Ararat. Many theologians still believe Armenia was the place of Eden. it coincides with the Babylonian story. Probably Eh=Enki= Ea indeed. And he was one of the annunakis,one of the two brothers,Enki and Enlil,sons of Anu. GOD spoke to Moses in Hebrew. That is the reason for Hebrews to say that Hebrew is the language of GOD. Can anybody tell me to whom of Armenians GOD spoke in Armenian and told HIS name ? There are different theories as to who Moses was, early Greek writings testify Moses was originally Osarseph a renegade Egyptian priest, who led a band of lepers out of Egypt creating own cult. Strabo two considered Moses to be an Egyptian who deplored the situation in his homeland, and thereby attracted many followers. We don’t really know in what language God spoke to Moses. According to legend the Armenian alphabet was given to Mashtots by divine vision. And so was the letter “Է” which got a prominent 7th position in the alphabet. I totally agree with you about our Mesrop Mashtots. I painted a large painting ( 40″ x 68″ ) of Mashtots that I finished recently. While working on the composition I did research about him, our history of Armenian letters, and came to many discoveries that I may share with you , because they seemed to me to be quite interesting and deep in nature. Awesome 😀 Am very excited, looking forward seeing it ! Gallery #1 is getting new image once in every 8 weeks. I cannot post it next because I have posted “Feet Washing at the Shrine of Goddess Anahit” this time. It was last week (with no response from Armenians). Rubik jan, I only now understand what you meant, but I am not Ani, I am a different person 🙂 I’m not even the same gender, I’m am a guy. But I know Ani from youtube and facebook. Yes I understand, I will tell her. 🙂 But I should really thank you and the artists like you who inspire all of us with your work and make us proud being Armenians. True art touches the soul and that’s exactly what your work does. Thank you! And in Sumerian epics Enki/Ea is also called Haya which is self designation name of Armenians. Well, well. It is so interesting to delve into all this information. You get transported back in time to your heritage. Thank you! word khy (with the letters khet and yud) which means alive or life and those two letters numerically equal 18, this number represents and symbolizes good luck and it is used often as such. Our seventh letter of the alphabet is the same. It means life too and thus 7 symbolizes “good luck”. Nothing scientific but I thought to mention il.